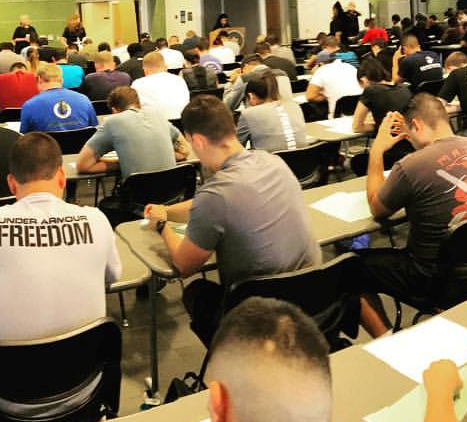 Passing the NYPD written exam is a first step towards getting hired in New York City. The NYC Police Officer's Entrance Exam has approximately 85 questions covering 9 cognitive abilities topics (see below.) The test time allowed is 2.5 hours. The NYPD wirtten test is administered by the Department of Citywide Administrative Services and is one of the early steps required in order to move forward in the hiring process. You must prepare if you want to rank high on the NYPD written exam. The NYPD written test includes questions on the following topics. The BEST prep course for the NYPD exam is the NYPD QuikPrep.